Feliks Zemdegs first learnt how to solve the Rubik’s cube from a YouTube tutorial in early 2008, at age 12. Over the coming months and years, he became immersed in the world of speedcubing, practiced hard, and improved quickly. In 2010, the first officially-sanctioned Australian speedcubing competition was held in Melbourne, Feliks’ home city. 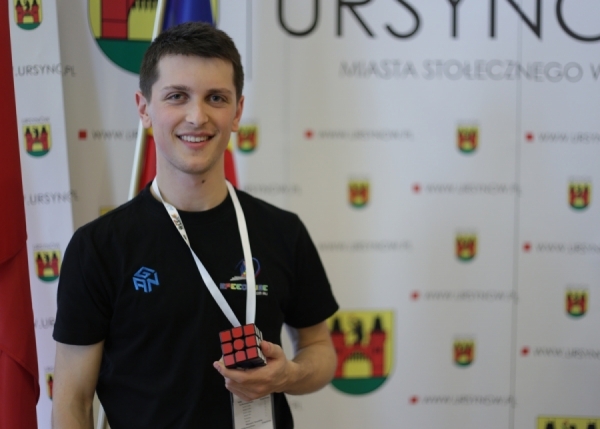 At this competition he broke the Rubik’s cube average world record, posting a 9.21 average of 5 solves, the first sub-10 average in World Cube Association history. Feliks has gone on to break over 100 world records in a variety of WCA events, as well as win two consecutive Rubik’s Cube world championship titles – in Las Vegas in 2013, and Sao Paulo in 2015. He held the Rubik's cube world record average for over 7 years in a row. Feliks has travelled to all six continents around the world to compete in speedcubing competitions, visiting countries such as New Zealand, China, South Africa, Brazil, and many more along the way. My mission with CubeSkills is to develop the best speedcubing tutorials on the internet. Contrary to popular belief, anyone is able to learn how to solve the Rubik’s cube with a bit of time, patience, and effort. Speedcubing is incredibly fun and rewarding, and I find that the most enjoyable part of speedcubing is witnessing how hard work and practice pays off in the form of tangible improvement. There are plenty of free tutorials scattered around the internet, many of them are quite good. However, I don’t think there is a succinct central resource which guides you through the entire speedcubing journey. Many written guides and online videos teach people bad habits when they first start out solving the cube, and it is difficult for a beginner to discern between the good and not so good tutorials out there on the web. Over time, without proper direction and guidance, these bad habits become ingrained, and they can be very hard to shake. My aim with CubeSkills is to streamline the learning process, teaching efficient habits and correct solving techniques from the very beginning, so that you can get the most out of your speedcubing journey. I believe that my experience and knowledge can help me create not only an extremely efficient learning process for beginners, but awesome content and tutorials for experienced cubers as well.